Do you wish to have a very compact camera that can produce DSLR-quality photos? Do you wish something that can give you extraordinary images out of a slim and thin body that can be easily slipped in your bag? Also, should the device have an easy, seamless wireless connectivity? If so, you should take a look at Olympus PEN E-PL6 and Olympus PEN E-PL7. The two are very interesting choices that are available at very competitive prices. Both are made by the same manufacturer that was founded in the 19th century, that has contributed in various audio and visual devices for scientific, industrial, medical, and surgical purposes. Which one will suit you best? Let us see the advantages of each product! Both Olympus PEN E-PL6 and Olympus PEN E-PL7 come with a lot of similar features and technologies. Both models have built-in image stabilization and an articulating screen that allows flexible shooting positions. Both also comes with touchscreen control, RAW support, face detection focus, and selfie-friendly LCD (the display screen can be rotated for taking selfies easily). Quite interestingly, both models have identical continuous shooting speed, which is 8 fps. – First, it is less expensive than Olympus PEN E-PL7. The price difference can be around a hundred bucks or so, which is pretty significant. Thus, if you want to save some money, you can go with Olympus PEN E-PL6. – Second, it is considerably lighter than Olympus PEN E-PL7. The difference is around 32 grams, which is pretty significant if you want to pocket your camera. – Third, it has slightly longer battery life. It can last for up to 360 shots per charge, while Olympus PEN E-PL7 can last up to 350 shots. Yes, the difference is not very big here. 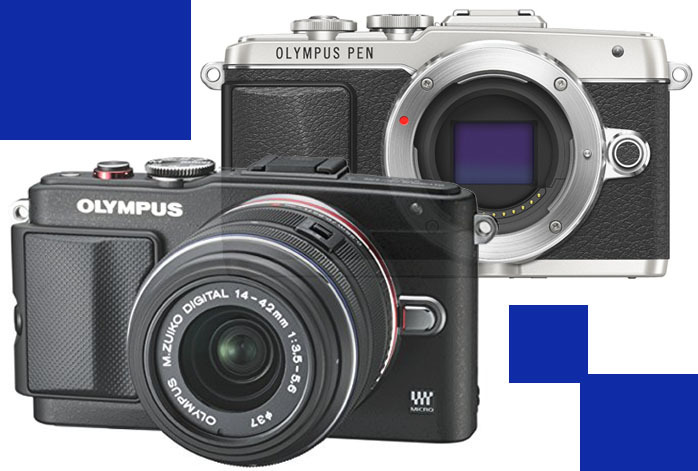 There are six things that make Olympus PEN E-PL7 a great choice. In general, it has a higher performance than Olympus PEN E-PL6. It comes with built-in Wi-Fi for easy integration with other devices and networks (Olympus PEN E-PL6 need to be connected to the Eye-Fi). It also comes with a lot more focus points (81 vs. 35), along with AE Bracketing feature. It will also highlight the objects in focus. It has a time-lapse recording feature. It has much sharper LCD than Olympus PEN E-PL6, so you will be more comfortable looking at its screen. If you prioritize compactness and long battery life, perhaps for long sessions and traveling, you should choose Olympus PEN E-PL6. But, for the best performance, Olympus PEN E-PL7 should be your choice!